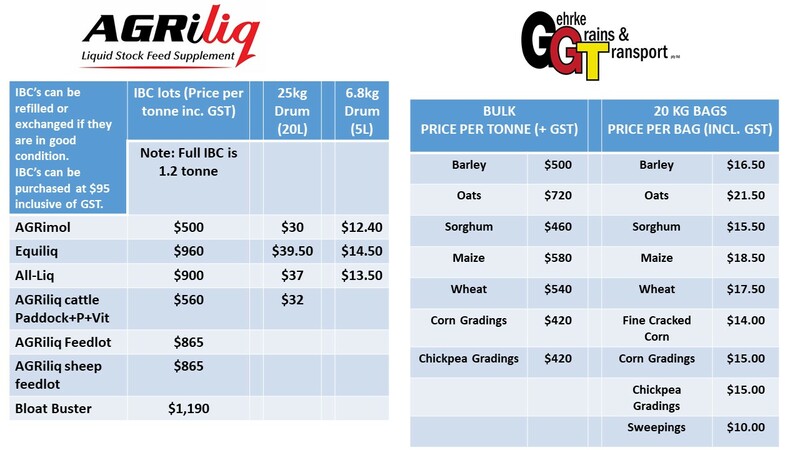 Gehrke Grain Services offer a range of high quality grains and liquid feed supplements for sale to the public. These grains are sourced from farms in the local area as well as the Darling Downs, Western Queensland and Northern New South Wales. While our liquid feeds are made on site using special formulas created by our animal nutritionist. Whether you’re looking to make horse or livestock feed or to simply feed a few backyard chooks, you can purchase anything from a 20kg bag up to a bulka bag with a tonne or more.